Green, black, and oolong are the three major types of tea, which represent 23%, 75%, and 2% of world tea consumption, respectively . Recently, green tea has been becoming increasingly popular in the United States because of its powerful antioxidants. White tea is another type of tea that has been receiving consumers’ attention lately. Similar to green tea, white tea usually is grouped together with green tea, and is also rich in antioxidants. These types of teas differ in terms of processing and chemical composition. We will briefly described their manufacturing processes, and then discuss the differences in their chemical compositions. Black tea is 100% oxidized or fully fermented and has high flavonoid content. The majority of its catechins are converted into theaflavins and thearubigins, which produce a variety of flavors and stronger aroma. 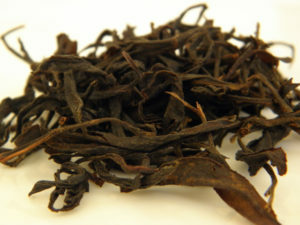 The shapes of black tea leaves vary widely, and include twist, curly, spiral, ball, rolled, and broken leaf . A cup of brewed black tea contains about half as much caffeine as a cup of regular coffee. In general, black tea has more caffeine than green, oolong and white teas. It has reddish-brown colors with sizeable body and power in the cup . Green tea is fermented or oxidized the least, and preserves most of the green nature in fresh leaves. Green tea contains rich antioxidant content (catechins) in tea flavonoids, and has little caffeine compared to a cup of regular coffee (about 95mg/cup for coffee). Green tea has become increasingly popular in western countries due in part to its rich, healthy compounds with little caffeine. 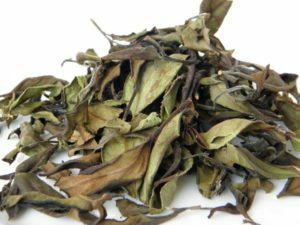 Dried green tea leaves come in many shapes such as open-leaf, flaky, twist, sword, or ball . It often has a distinct fresh and vegetal aroma. Its pale green infusion tastes delicious and is smooth with a slight sweet flavor. Oolong tea is semi-fermented with a range of 10-70% oxidation . Oolong tea is the most intricate and complex tea to manufacture. It contains a variety of flavonoids with moderate amounts of antioxidants and caffeine. The characteristics of oolong teas are somewhere between that of green and black teas. 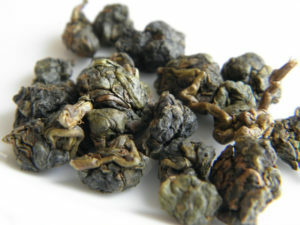 Oolong teas have more fresh floral and fruity notes than green tea and have less heft with more finesse than black tea. Oolong tea provides a wide-range of choices of styles, aromas, and flavors . Their classic leaf shapes are ball-rolled, strip-style or open-leaf . White tea is usually grouped together with green tea . 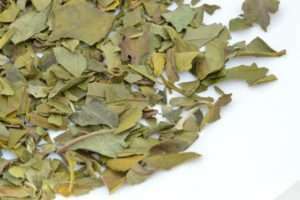 White tea is composed of young buds and leaves, and is minimally processed. Similar to green tea, it contains high antioxidants with very small amounts of caffeine. The classic leaf styles of white tea are sword or twisted-needle. The modern-styles can be sword or open-leaf . In a cup of white tea, you can find delicate and mellow notes with natural sweetness. Tea Summary, Micronutrient Research for Optimum Health, Linus Pauling Institue, Oregon State Univeristy, http://lpi.oregonstate.edu/infocenter/phytochemicals/tea/(January 2011).